At the launch of the Ljungby Maskin Comfort System on the Construction Live Fair in Sweden, we introduced another innovation: the automatic door closer. 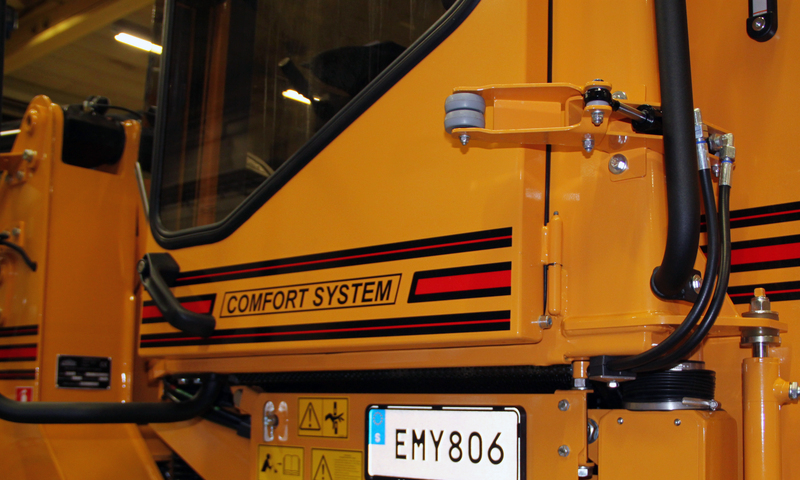 With a simple push of a button, the driver can close the door without having to extend out of the machine to reach the door - a popular and underrated tool in our quest for greater operator comfort. 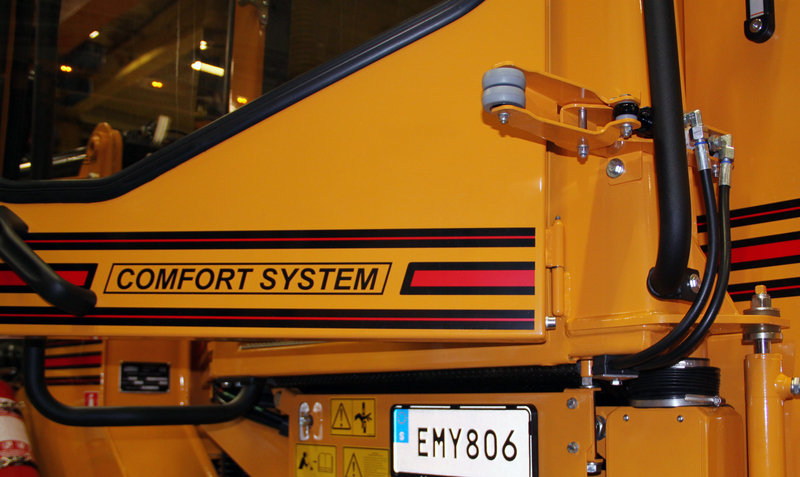 The system is hydraulically controlled either from the driver's seat or on the exit door at the bottom corner. The pressure is stored in the accumulator system, making it possible to close the door with a simple push of the button on exiting the machine. The automatic door closer is tested and approved in accordance with current directives. The system is optional, not standard, and is available to our entire model range.